Women's Animal Center is dedicated to the humane and compassionate treatment of animals. As America’s First Animal Shelter founded in 1869, we are committed to protecting the interests of animals and offering a continuum of care to ensure that all animals are treated humanely with kindness and respect. Women's Animal Center's commitment to the humane and compassionate treatment of animals is demonstrated by our distinguished history as America’s First Animal Shelter. We offer a variety of services to the greater Delaware Valley, including sheltering unwanted and homeless animals, cruelty prevention and humane education programs, affordable veterinary care for pet owners (both sick and wellness exams), spaying/neutering to control animal over-population, and an adoptions program to provide animals with lifelong homes. Women's Animal Center receives no federal, state or local funds and depends on the support of our community in order to provide care and comfort to the region's homeless animal population. WAC programs are funded entirely by donations from our supporters and fees from our services. 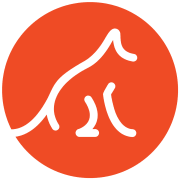 The Women's Animal Center Veterinary Hospital is dedicated to providing quality care and treatment of pets in our community for a reasonable price to ensure that all animals are healthy and happy. We are proud to have provided care for animals in the region for over 149 years. We appreciate the support of generous individuals to continue our mission and make a difference in the lives of animals. Would you recommend Women's Animal Center?